[Updated on October 29th 2012] This recipe was featured on Huffington Post under the article "Tater Tot Recipes, Because They're Good In Everything"
"Cookbooks have long offered their own kind of enriched content, in the form of scribbles left in the margins by cooks who found they liked a little extra cinnamon, or a higher oven temperature." ..yes I own cookbooks for the same reason as I can scribble what I think about a certain recipe as I make it. Though I don't normally end up cooking from all the books I own, they have an old-school-charm to it. Only when one experiences it, they would know the warm feeling for cooking from a book rather from an app. After 5 years of her first cookbook, Ruta Kahate (5 Spices 50 Dishes fame) brings us a new edition with about 125 easy indian recipes that can be made in 30 mins or less. It starts with a "Shortcut Shelf" which has recipes for read-to-use pastes/condiments that can be stored or refrigerated for later use. 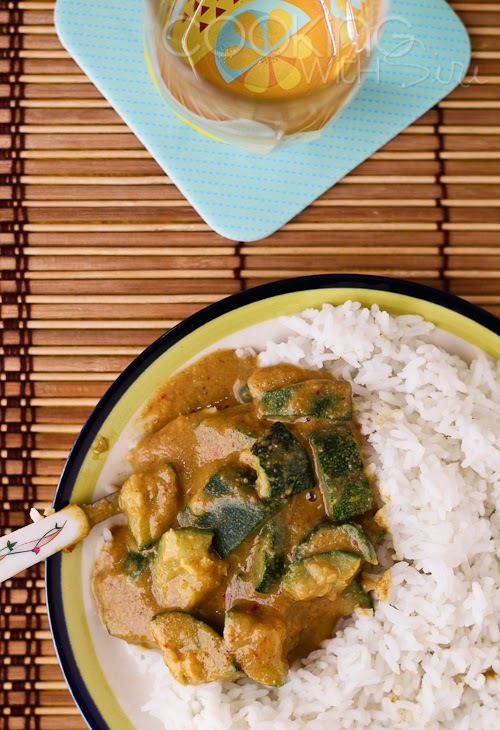 Drawing inspiration for Thai Red Curry and Green Curry pastes, she has Red Masala and Green Masala that can be made quite easily and these are handy to spruce up almost anything - from meat to veggies to sandwiches and even pastas. Similarly there are some funky names for other categories as well such as "Brisk Breakfasts", "Mains in Minutes", "Curries in a hurry", "Swift Soups", "Zippy Snacks" etc. Some of the recipes are quite intriguing like "Tomato Water" and her "Maa's Sheera", but I have a feeling that an experienced cook will find these recipes quite basic. When it comes to a cookbook, I love ogling at a photograph of the finished recipe as it gives a good idea on what to expect. 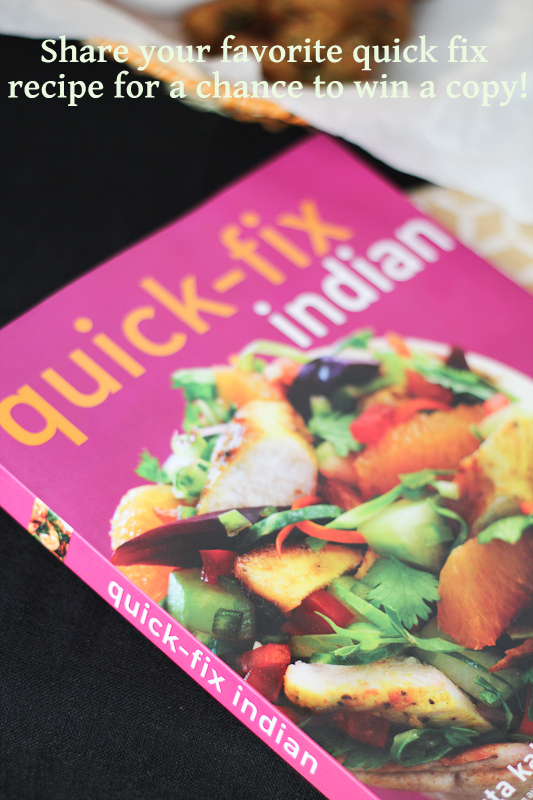 Quick Fix Indian has a very small number of photographs, often just the ingreidients and not of the recipe featured which is a little disappointing for me, personally speaking. Nevertheless, Ruta demystifies Indian food and makes sure there is something for everybody and every occasion in her book. 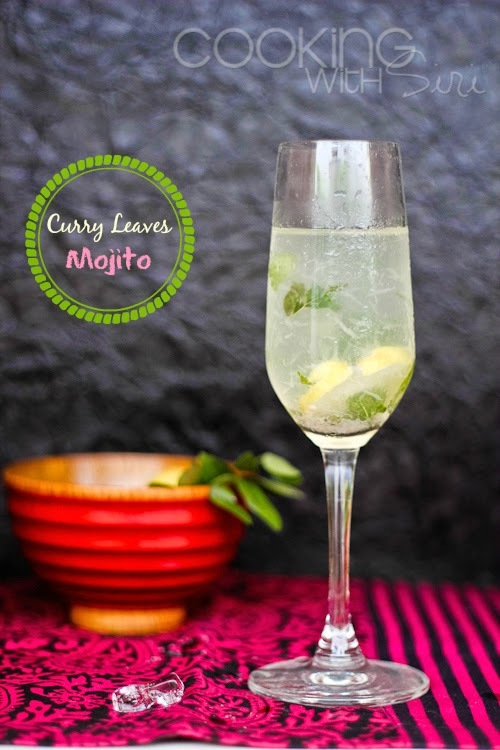 It gives a modern twist to few of our classic recipes without compromising on taste. Do try to grab a copy today. Note: Add 1 to 2 tablespoons of all purpose flour if the mixture is too sticky and cannot be rolled into balls. 1. Peel the potatoes and mash well. Mix in onion, chillies and cilantro. Season to taste with salt. Stir in the whisked egg and the bread crumbs (and flour if using). 2. 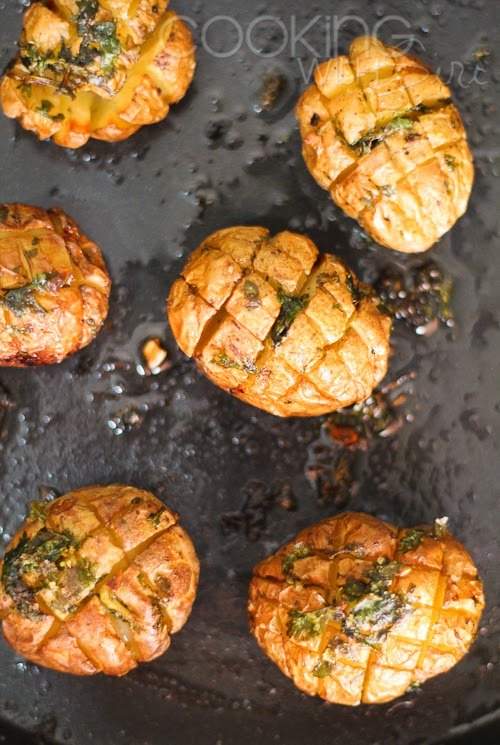 Form into small balls (as the original recipe). (or) sprinkle some bread crumbs on a plate or wax paper, roll potato mixture into a thin cylinder. Cut into small pieces with knife. (just like gnocchi). Optional Step - Line the balls on (wax) paper and refrigerate for atleast an hour, until firm. 3. Heat oil in a skillet and shallow fry the tater tots until light golden brown. Drain excess oil on paper towels. For a healthier option, these can be very well be baked at 180 C or 350 F for 20-30 minutes, carefully flipping them in the middle. 1. 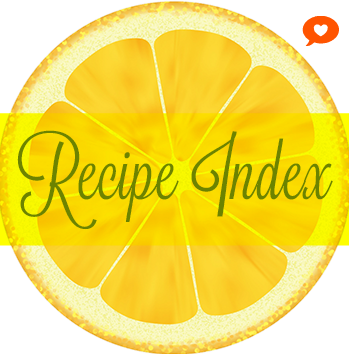 Leave a comment on this post with your favorite quick fix recipe (indian or non-indian) - No need of links, just the name will do. 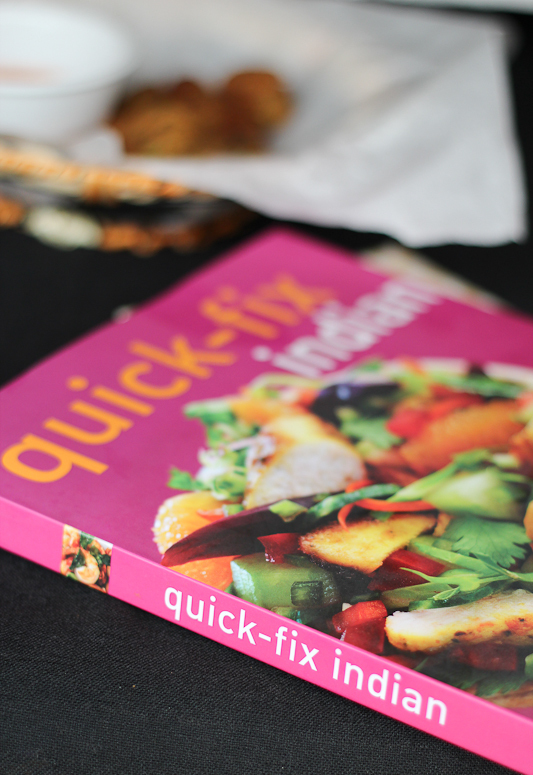 Note: Quick fix recipe is something you make when you are darn hungry and short of time. 2. Mention your location - US or India so that you are entered for the corresponding drawing. 3. Follow Cooking With Siri on Facebook. 5. Subscribe to Cooking With Siri feed. If you are already liked me on facebook, following on twitter or subscribed to RSS feed, just leave a comment letting me know and you are entered in the giveaway automatically! This giveaway is open for everybody, You don't have to be a blogger to win the cookbook. The giveaway will end on July 31st 2012 and two winners randomly picked - one from US and another from India will be announced on August 1st 2012. . Note: This is not a paid post. The giveaway for US residents is sponsored by the publisher and one for Indian residents is sponsored by me. My quick fix recipe would be vegetable pulav made in the pressure cooker..healthy and delicious.. I am in the US. 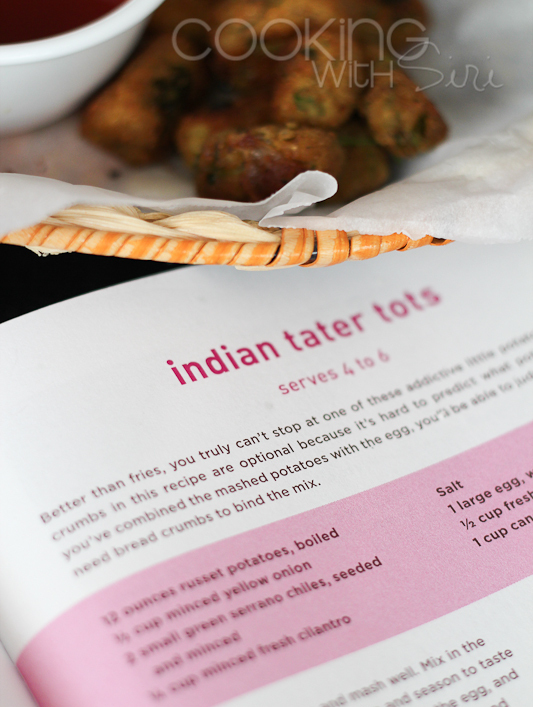 I am going to have to make these tater tots this week, they sound great; thanks for posting it! I would so so so love to win this book! My fav go to snack would be any fruit or a super quick salad ! My quick fix snack is popcorn pepped up with Indian spices! Following you on FB, twitter and reader! Siri.....u had tempted me by posting the pic on fb but with no recipe....Love the Pic and i will try this pot by skipping the egg. I stay in India and would love to win this. My quick fix requires no cooking: fresh fruit followed by a piece of chocolate. My quick fix recipe is Pasta with any veg I found around me. My quick fix is a sweet potato in the microwave and then I put some salt and cayenne pepper on it. I'm in US. When I need a quick fix I usually go for breakfast foods, like pancakes or some scrambled eggs with cheese. My quick fix is usually noodles with soy sauce and sesame oil with steamed tofu and veggies. A quick fix that is a favourite for me and every one at home is noodles flavoured with panner, capscium, onion, vegetables and a little bit of soya sauce. my quick fix recipe is onion pakoras - onions dipped in gram flour batter n deep fired till golden brown with mint chutney. heavenly. 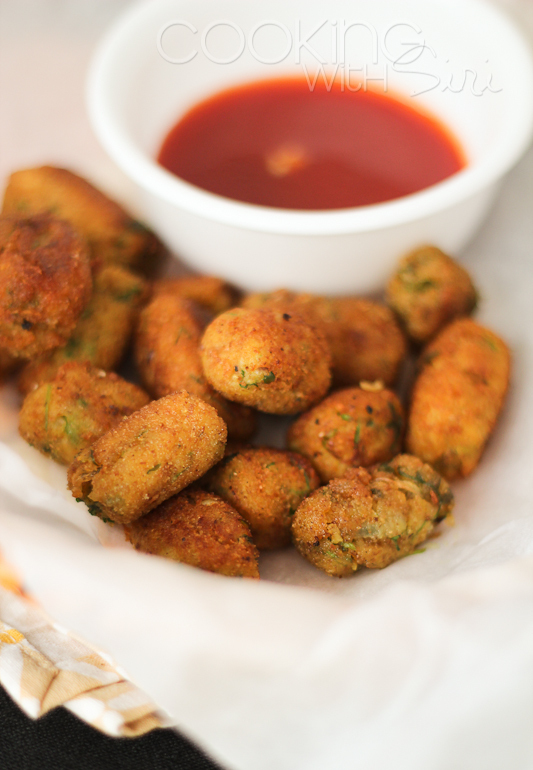 I also love spinach pakoras. 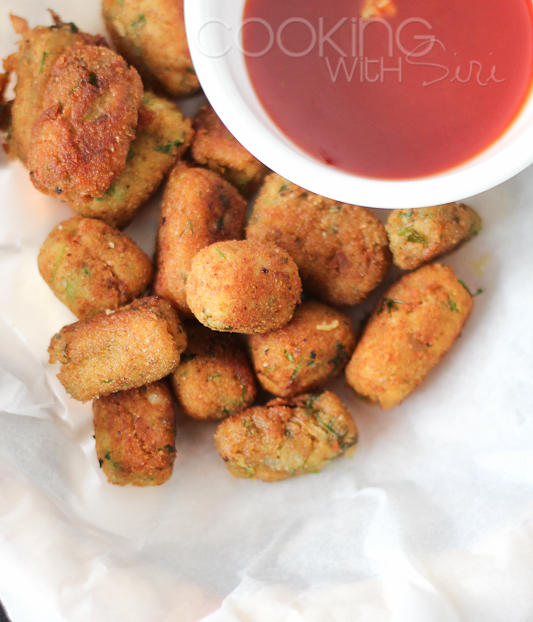 Dip whole leave of spinach in the gram flour batter and deep fry. The rainy season in India is the perfect time for this treat. I like to make microwave omelets. Mix some spices, egg whites, and milk and microwave for a bit, and you have a protein packed breaktast! I am from the US. I subscribed to your feed via email. I am from the US. 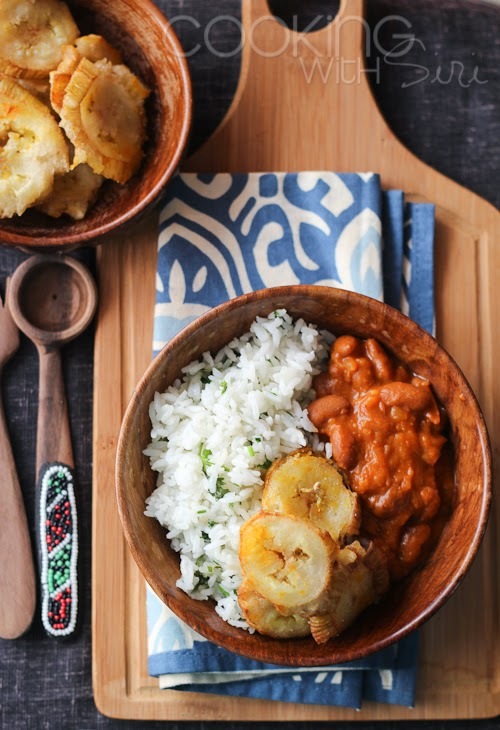 The recipe looks awesome, I will a give a try one of these days. 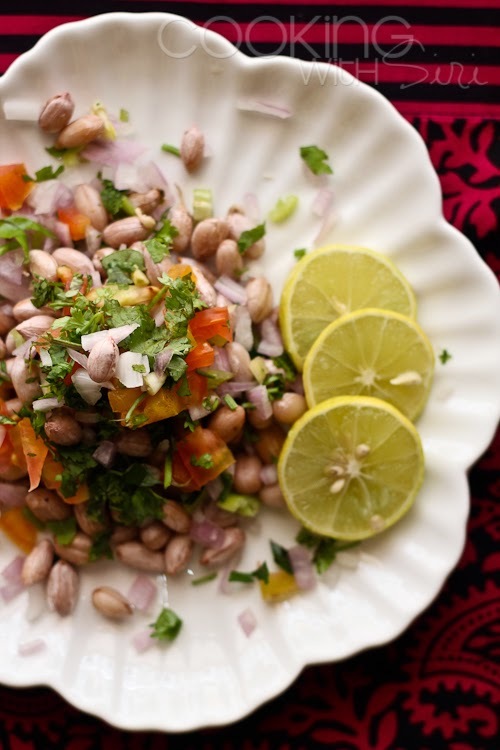 My quick fix recipe is Healthy Poha with lots of Vegetables in it, and I'm located in the US. The tater tots look mouthwatering! My quick fix is a yummy bhel. I am located in the US and have subscribed to your blog via google reader. US here. My favorite quick fix is a smoothie. Throw a couple pieces of fruit, lots of vegetables, and some yogurt into a blender and there's a meal! Yum! These look delish! My favorite quick fix meal is a salad with poached eggs! Yum! That recipe looks divine! My quick fix is a salad and poached egg. I'm in the US! Please enter me in the US drawing! Siri , my quick fix recipe which I make quite often for my son is cut whole wheat bread in round shape with glass and grate some carrot, chopped capsicum, onion, mozzarella cheese on top and season it with salt, oregnao and cilantro leaves. Bake is for 10 minutes!! My quick fix is tomato salad over hard bread. I always have a batch of it in the fridge, and it's perfect as a main dish, a side dish, a snack, or even a garnish. My quick fix recipe is baked chicken. And I'm in the US. quick fix: fried egg sandwich; u.s.
My quick fix would be pasta with vegetables. Family loves it too :). I am in the US. Following you on facebook and twitter.